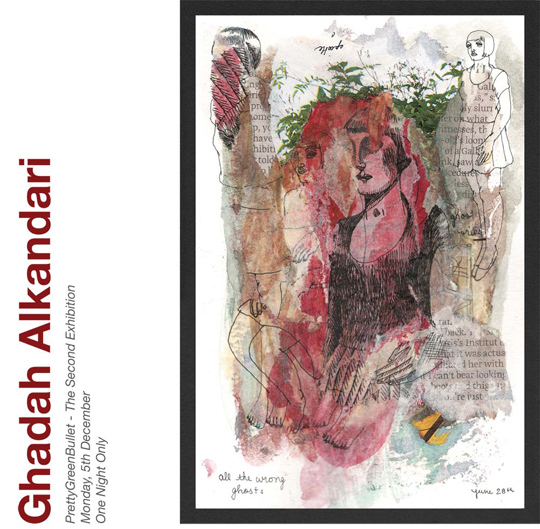 An Exhibition celebrating the second year of Ghadah Alkandari’s blog PrettyGreenBullet, this one night show will showcase paitings and drawings, as well as everyday notes and doodles and sketches done by the artist over the last year. Hi Ghada! I love your blog…and I love all the colour your are putting in your drawings. The picture you gave me is in my house in Ottawa. Take care! Aisling.